Description Hand coloured. Size 37cm x 32cm (15” x 13”). 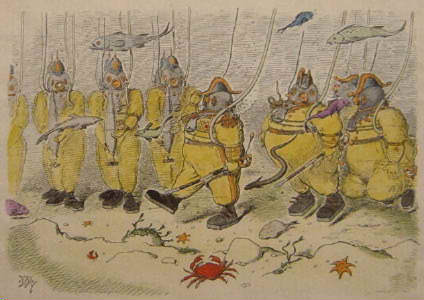 A review of the Royal (Sub) Marines in Sub-aqueous uniform on the Goodwin Sands.